With Stan Lee passing, I want to share why this man was who he was. Not only did he inspire myself but millions of others in the world. He was a very creative man who basically made Marvel Comics what it is today. If you don’t believe, then just look at this list of some of his greatest creations, creations that even if you don’t read comics, you know about them. I won’t rank them in any order of most to least, just that they come to mind in the order I write them. However, I am a huge Spider-Man fan, and it was Amazing Spider-Man #272 that got me hooked on comics. I had read some comics before this one, but this particular Spider-Man grabbed me and from then on, I’ve read Spider-Man. So here’s a short list of some of Stan Lee’s creations. 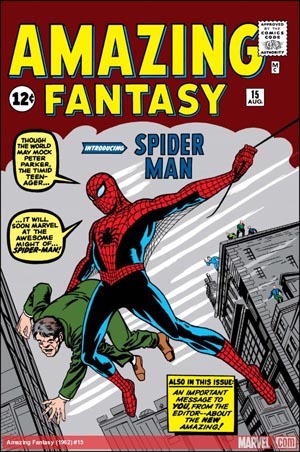 Created with Jack Kirby and release in 1962 in Amazing Fantasy #15. Peter Parker was a character that could be most anyone. Teenagers connected with him because he had real life problems that they had with school, bullies, girls, parents, and no money. Then as an adult he also connected in the same manner. He wasn’t a rich guy who lived a life fame and had everything he wanted. He was a normal guy who got powers and wanted to help others in need and not exploit his own powers. I could create a long list of the characters he put in the first 10 books of Amazing Spider-Man and still only list a few. Another character he created with Jack Kirby that came out in 1962 in The Incredible Hulk #1. Here was a character that once again people could recognize in themselves. 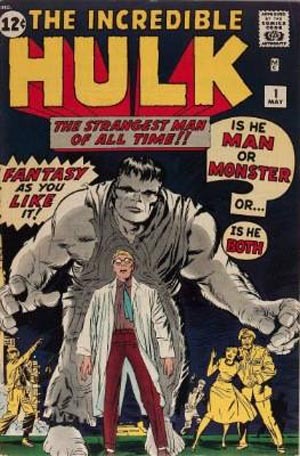 Bruce Banner was a mild and timid man but when he got angry he became this raging monster that no one could stop called the Hulk. Who hasn’t had those moments that their anger got the best of them? This wasn’t an evil man or monster, just someone who got upset and lost control. 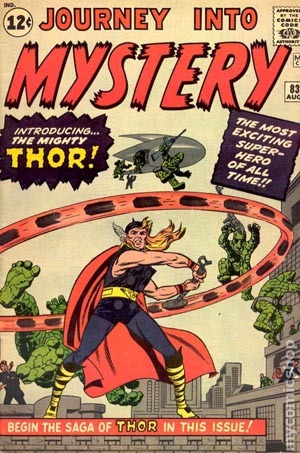 This book was created with Jack Kirby by using the individual characters that they had created as a whole team. 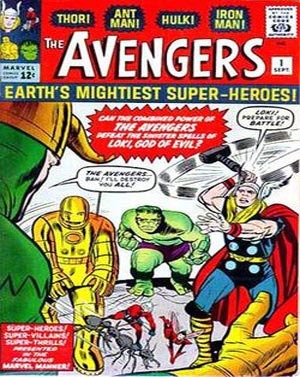 The Avengers #1 debuted in 1963 and has been a strong book that has grown over the many years. This book took all the heroes and put them together to fight the biggest of villains that they couldn’t face on their own. It’s been loved in the comics but now the world has seen how great it is to see those solo characters join up to fight as a team in the movies. 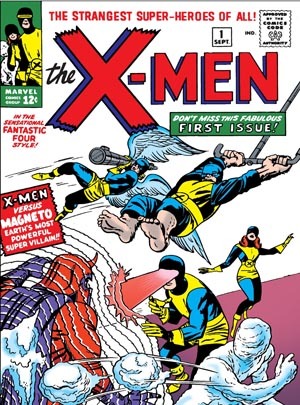 Speaking of movies and teams, The X-Men was another team that was created with Jack Kirby. The X-Men #1 came out in 1963 about teens having powers and having world that hates them because the were mutants. This is a book about being treated unfairly and horribly only because you are different. The real world has dealt with this issue in some many areas that these characters will always be able to relate to someone. This book started with a bunch of characters that he created unlike the Avengers that was a book of established characters. Just look at the first issue with Cyclops, Marvel Girl, Iceman, Magneto, and the Beast just to name a few all created in the first 19 issues. Ok, this one I can’t say he created, Thor is a mythological deity that’s been around for a long time. However, it was Stan Lee that came up with the idea of taking the mortal doctor Donald Blake and putting the god of Thor in him. This was the character that people dreamed they could be. Going from a normal guy with a slight problem with the limp but having the ability to turn into a god. Yes Donald Blake was a doctor and having a good life in on respect, but he was also a thin handicapped man that couldn’t stand up for himself and had to rely on a cane to get around. This was something everyone could relate to in one way or another. Everyone has something about themselves that the feel like it holds them back from achieving the ultimate life. And who hasn’t thought about how nice it would be if we could snap our fingers or bang a stick on the ground and suddenly become this powerful being who is good looking, liked and loved, and has the power to fight any problem and win? 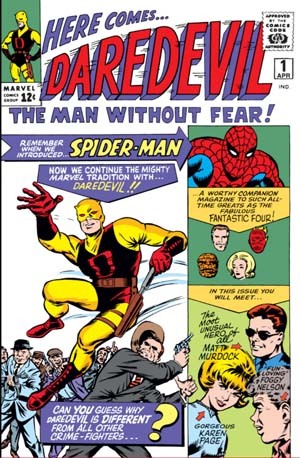 Daredevil was created with artist Bill Everett in 1964. Here was another character similar to Donald Blake where he was doing well in one aspect of his life as a lawyer but had the handicap of being blind. However, it was the reason of becoming blind that he was able to be the superhero Daredevil because it gave him superhuman senses. So Tony Stark aka Iron Man wasn’t one character that most people could relate to being that he was this genius billionaire that was also good looking and dating super models. However, the whole reason he was Iron Man was because he had a heart problem that required the suit to keep him alive. And even though he was rich, powerful, and smart, he had problems that anyone could have, such as being an alcoholic. 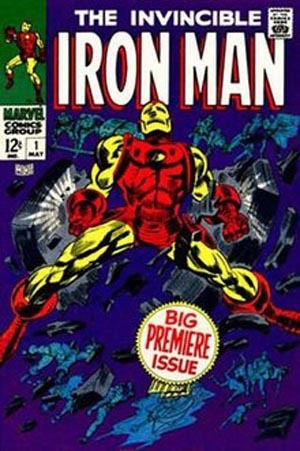 Iron Man made his debut in Tales of Suspense #39 in 1963. 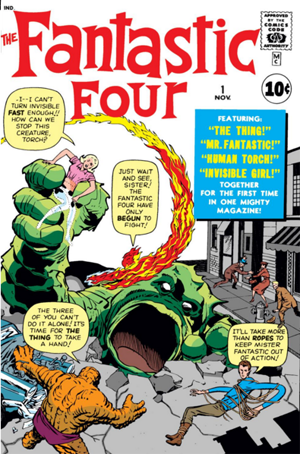 Fantastic Four came out in 1961 and is the premiere superhero comic for Marvel Comics. Before this title came out, Marvel was doing science fiction comics but it was with the FF that Stan Lee created the superheroes. Since 1961, the Fantastic Four has been known as Marvel’s first family and was the title that kicked off everything for Marvel. 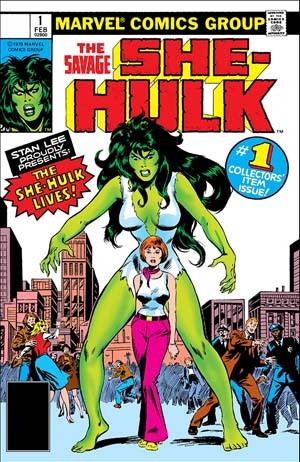 The Savage She-Hulk #1 came out in 1980 about a lawyer who got a blood transfusion from her cousin Bruce Banner. Jennifer Walters, aka She-Hulk, was created with John Buscema and is one of the many female characters that Stan Lee created that showed the world that women could be their own person along with smart and powerful. Sgt. 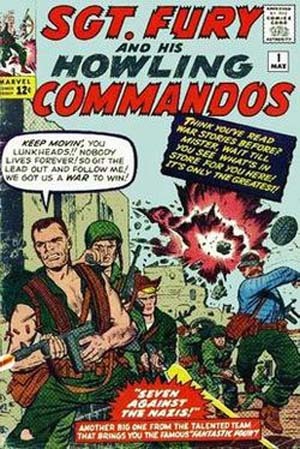 Fury and His Howling Commandos #1 introduced the super spy that has become that man who has his hands in everything in the MCU. Nick Fury is more like Stan Lee than any of his creations. Stan Lee has been involved with Marvel for so long that he is the one that knows the most about it and has had his influence in it the most. This is Nick Fury in the comics. Plus the art that Jack Kirby did on this book, especially the covers, makes this an amazing book to have. I just want to stress that these are a drop of water in an ocean of how many characters and stories that Stan Lee created and wrote on. 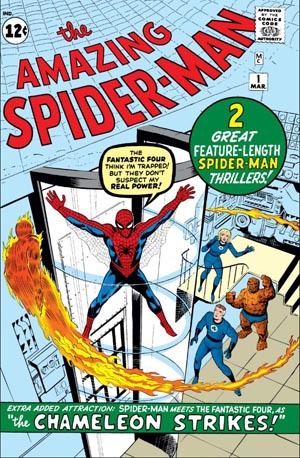 He wrote on the first 100 issues of Amazing Spider-Man where there are so many of the most known and creative characters that he put in these issues that it would be too much to even list. Characters that have influenced others, that have inspired so many people, and have become characters that people dress as and even make a living as impersonating them. Yes, Spider-Man is one of the most popular from that book, but so are the supporting characters and the villains that make up the book. Stan Lee was a master of knowing what people like in the stories the read and being able to connect the story with the reader. He hit on social issues that struck the nerves of so many and were so controversial at the time and he even killed off a main character, Gwen Stacy. Without Stan Lee there would be no Marvel and I would not be sitting here as the person I am now without the influence that comic books have had on my life all because of Amazing Spider-Man #272. Thank you Stan Lee, you will be missed, I was honored to have met you.